Rolex date just president 69178 in solid 18ct Gold. 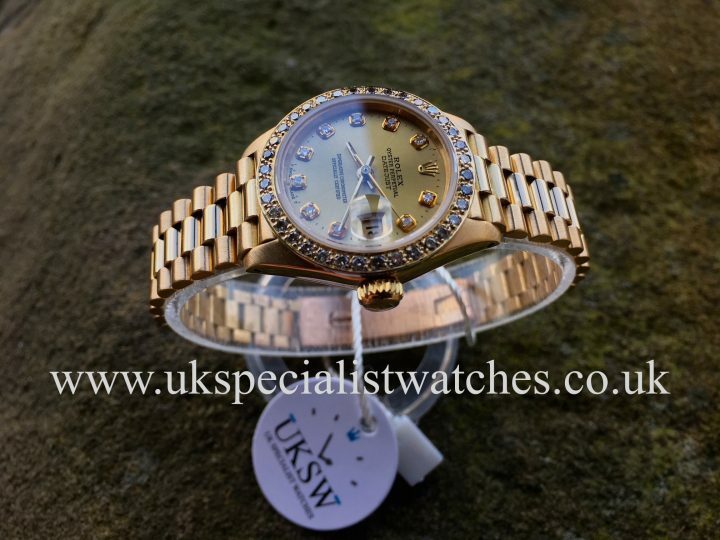 Rolex Champagne Diamond dot dial with 18 ct diamond set bezel and sapphire crystal glass. 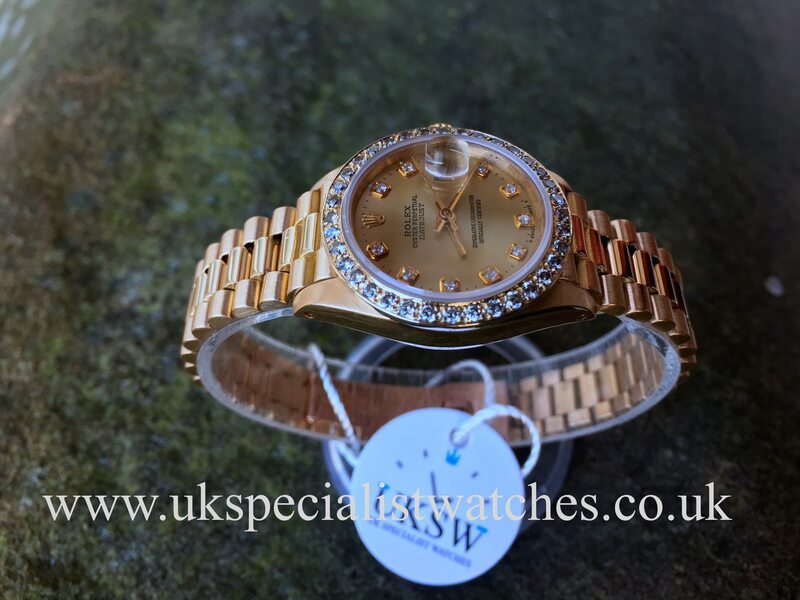 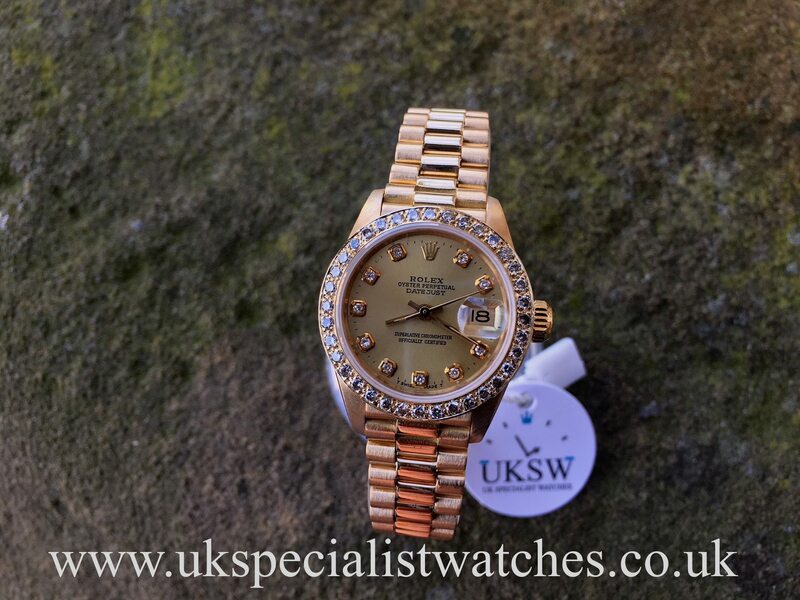 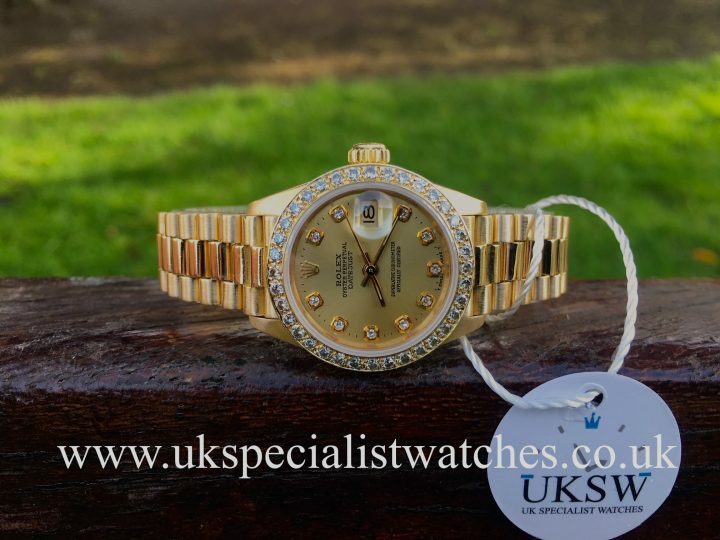 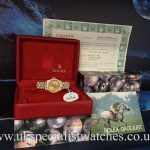 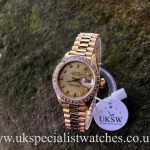 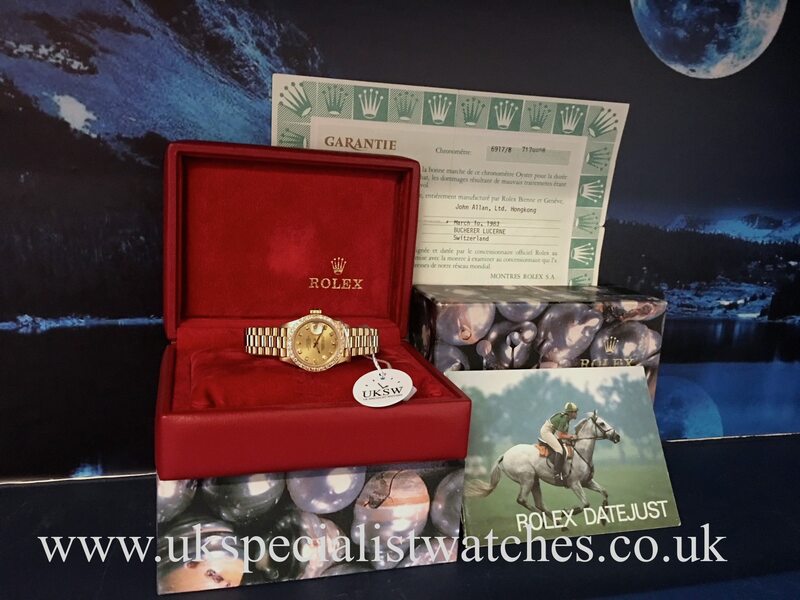 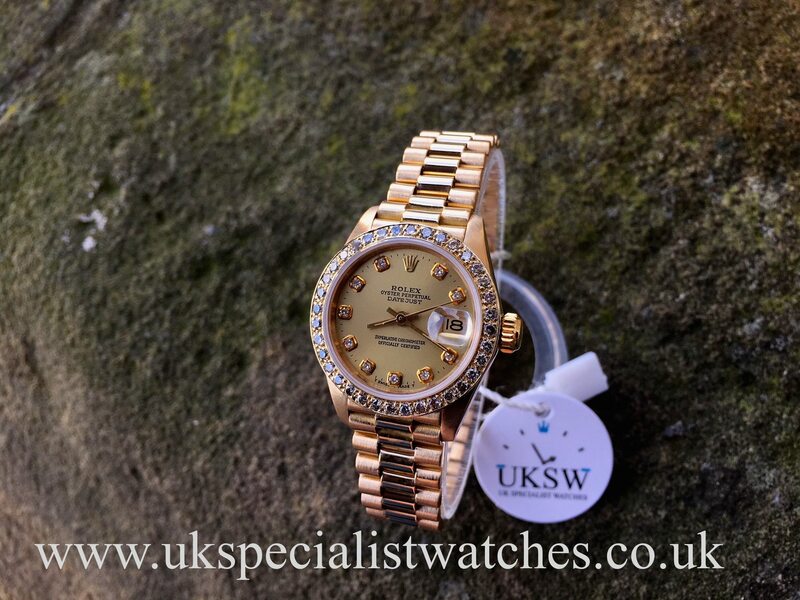 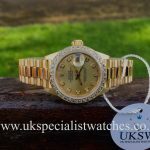 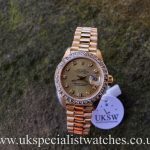 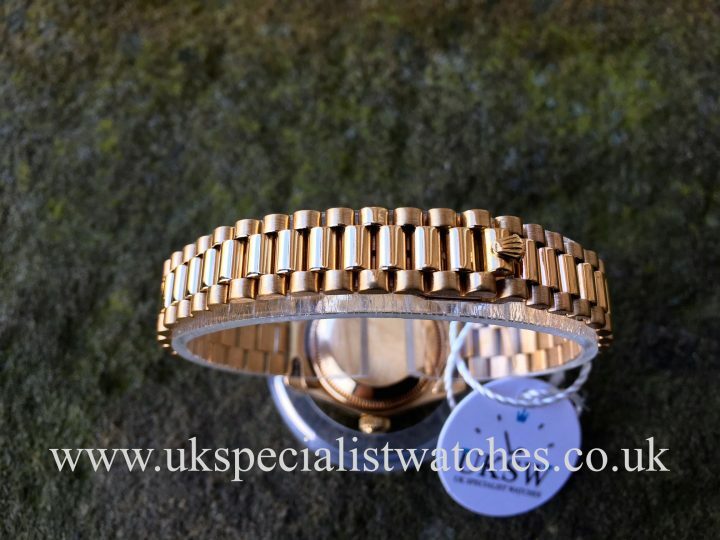 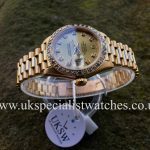 This beautiful ladies Rolex is fitted to a elegant 18t Gold president bracelet with double folding concealed crown clasp. 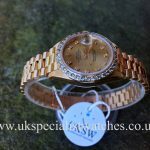 This one owner watch is in absolutely impeccable condition and comes complete with box and original papers. 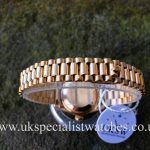 Supplied new March 1983.